Picking up after 80,000 fans is no small task. In stadiums and arenas across the country, commercial cleaners face that challenge on a regular basis. 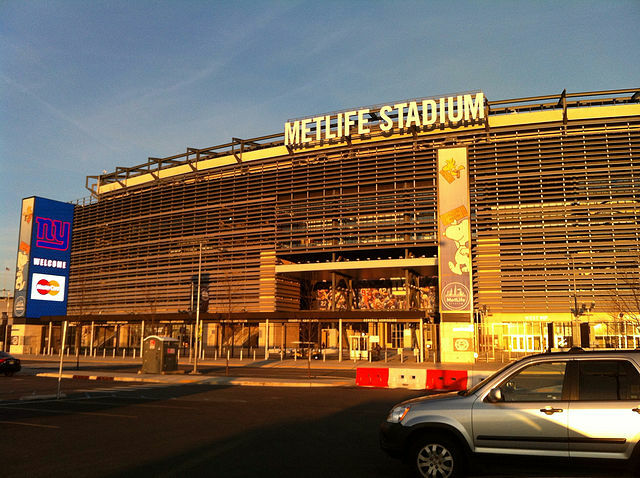 Henry Rzemieniewski, the cleaning operations manager at MetLife Stadium in New Jersey, was recently interviewed by NJ.com about the unique challenges and processes involved in keeping a major sporting arena clean and sanitary. Cleaning up after a football game actually starts during the game. Rzemieniewski’s cleaning staff sweeps aisles and floor spaces during each sporting event. After the game, the staff divides into three large teams that focus on sections of the massive stadium. The main goal of the first phase of cleaning up is gathering trash discarded by fans; separating the debris into compost, recycling, and trash destinations; and then another full sweep session. After the trash and recyclables have been picked up and the floors have been re-swept, professional cleaners power wash the floors with commercial equipment. This process is repeated after every concert, football game, and special event that takes place in the stadium. One of Rzemieniewski’s goals as cleaning operations manager has been to increase sustainable cleaning methods at the stadium. Working with vendors, distributors, suppliers, his staff, and his fans, Rzemieniewski is well on his way to making huge strides. His work with vendors in particular has had a huge impact. All of the trash created in seating areas from vendor products can either be recycled or composted. Composting at the stadium has become a leading effort of the cleaning staff. More than 150 tons of waste were composted last year. In addition, forty-five percent of the 1,000 tons of trash the stadium collects each year is recycled. 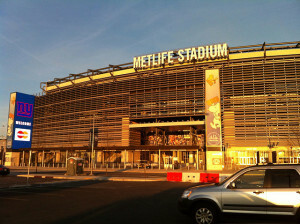 MetLife also hosts the annual monster truck rally, Monster Jam. The truck event is a mud-filled dirt fest that poses huge cleaning challenges to Rzemieniewski’s staff. He instructed his workers to literally tape the doors of the stadium shut to keep dirt, dust and mud out as much as possible. Despite their best efforts, dust still made it up to the high-reaching third concourse. The cleaning staff now uses massive plastic tarps to gather the huge amounts of dirt that are displaced during the event. Bathrooms, food service floors, and high traffic hallways may seem like the frontrunners for the most challenging cleaning task at MetLife. Public enemy No. 1, however, is the birds. “We were having a huge issue outside,” Rzemieniewski said. “Their [excrement was] killing our steel beams. The pigeons and starlings that flock to the stadium have posed a consistent problem for the MetLife cleaning crew. The stadium went to creative lengths to solve the problem, hiring a falconer, and mounting fake birds of prey to detract the pesky birds. When that didn’t work, and thousands of dollars spent on other tactics also failed, Rzemieniewski finally resorted to large scale netting. Facility Cleaning Decisions published the results of an annual survey it sends to its readership regarding the cleaning industry. Respondents include cleaning providers for healthcare facilities, universities, and the hospitality industry. Surveys are an important way for any industry to get a feel for the trends, preferences, and movements of its members. This particular survey highlights the importance of cleaning industry suppliers to a variety of industry sectors. 75 percent of respondents use a commercial cleaning supplier. Cleaning departments and in-house managers cited their cleaning suppliers as important sources of industry trends, information, and training. They valued their distributors for this information more than the associations, publications, and trade shows that they were exposed to. Survey respondents preferred consulting their distributors rather than manufacturers for information about training, safety data, bulk purchasing options, and other product availability information. 78 percent preferred distributors and suppliers that had a sustainability component and could assist them in achieving green initiatives through their purchasing practices. The recent recession impacted the entire American economy. While things are on the upswing, its lingering effects can still be felt, especially in the labor market. While a lot of companies came on hard times over the last few years, the recession has forced and in some cases inspired businesses to find creative ways to remain competitive and profitable. Sustainability, implementing best practices, and improving productivity have helped many commercial cleaners remain in the game. The Facility Cleaning Decisions survey sheds light on the important role that the suppliers commercial cleaners rely upon played a huge part in helping them remain competitive and creative. Well-organized budgets are a critical component to a successful commercial cleaning company. Survey respondents noted that after a sharp downturn during the recession, budgets have remained level for three straight years, giving them some stability when it comes to sourcing their supplies. Stable budgets are allowing cleaning companies to improve and adapt by choosing cleaning supplies and equipment that help streamline their business. the demand for easy-to-use products that simplify training, while increasing efficiencies, is up 20 percent in the last two years. Behind labor, purchasing is the largest budgetary item for custodial managers/departments, which is why Housekeeping Solutions asked readers to comment on trends in this area. One of the most important parts of a cleaning job is when it is performed. Many facilities have busy or unique schedules that require creative and expert scheduling to allow for regular and thorough cleaning that cuts the mustard. Cleaning schedules have a greater impact a commercial cleaner more than just juggling hours and time slots. Employee turnover, security, theft, and energy costs are all affected by cleaning schedules. While some businesses and facilities require a fixed cleaning schedule during certain times of the night (i.e. after business hours, during low-use times, etc. ), many buildings can be cleaned during the day. 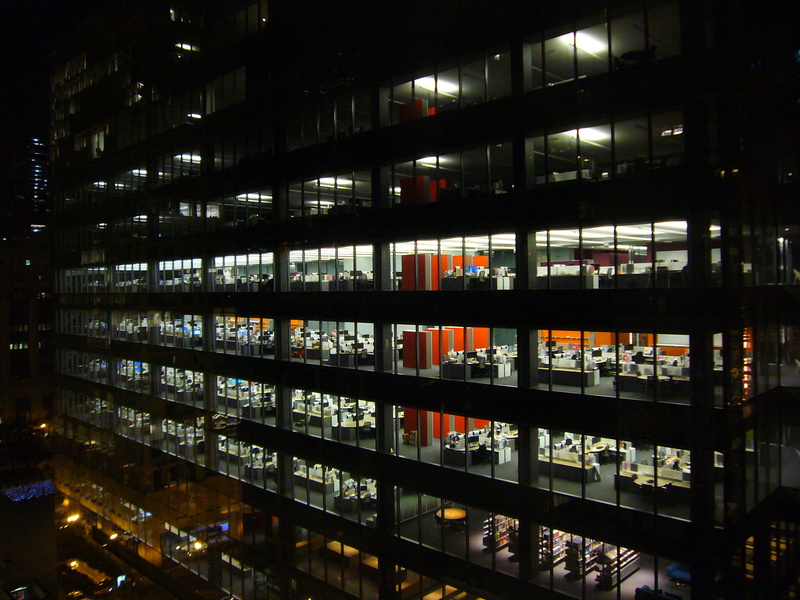 Late night shifts can create massive employee turnover. It is not uncommon for an annual turnover rate of 400 to 600 percent to be a reality for commercial cleaning companies. It is easier to schedule and maintain worker supervision during regular business hours. 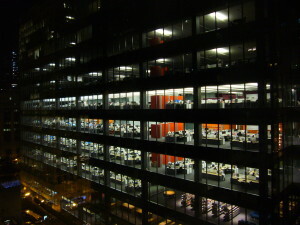 Security can be compromised at night when a building is opened for cleaning and maintenance. Crime rates can also be higher in buildings that are cleaned at night. Cleaning during the day can also have an impact on your sustainability. Energy costs can be cut by not requiring lights and electricity during the night. In order to transition to a more beneficial cleaning schedule, you’ll need to look at the needs of your building, your contract service provider, and your staff. For starters, you’ll need to know how the building is used during every hour of the day. You will also need to work with the building manager to organize a schedule that meets the needs of your staff and the needs of the building occupants. 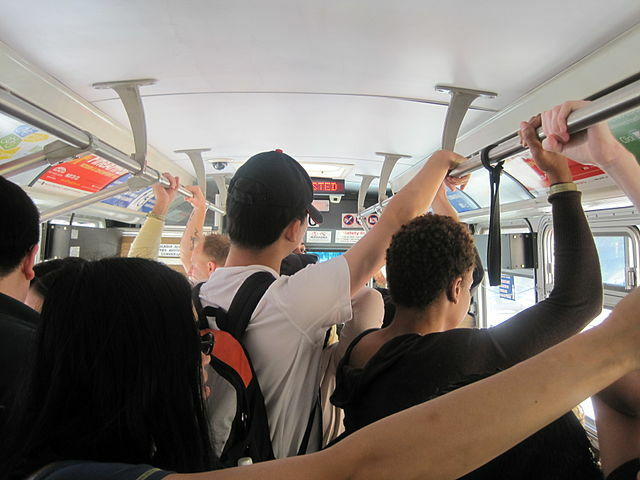 For building that have flexible schedules that can fluctuate heavily, more creative measures may need to be taken. Delivery facilities, healthcare providers, and catastrophe centers can be rapidly overwhelmed with staff when things get busy. Employee and customer populations can spike at a moment’s notice, and when they do, you will need to scale up your cleaning. That means providing more staff, supplies, and equipment. 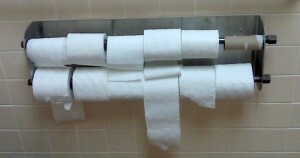 A national survey released this Labor Day highlights the importance of workplace restroom maintenance. According to the annual Healthy Hand Washing Survey, 93 percent of Americans see workplace restroom conditions as a reflection of how their company values them. The overall results of the survey showed positive restroom environments. 61 percent of respondents rated their workplace bathrooms as either excellent or very good. Only 6 percent rated their facilities as poor or terrible. While the survey returned overall positive attitudes about workplace restrooms, respondents still offered areas of improvement. While more than half of survey takers gave their bathroom facilities a high ranking, more than 40 percent of employees noted that they have experienced restroom troubles at their workplaces. Toilet clogs, and commodes that are not flushed because of malfunction. Bad odors and smells emanating from restrooms. Empty soap dispensers, towel, and toilet paper dispensers. Jammed, broken, or malfunctioning dispensers and hand dryers. A comprehensive and sustainable restroom cleaning program is a key method for ensuring restroom cleanliness. A schedule that incorporates regular cleaning, deep cleaning, and spot cleaning combined with sustainable products and methods, helps keep restrooms disinfected, as well as clean. Many restroom odors result from urea crystals that form in grout and other porous bathroom surfaces. Eliminating these odor causing spots and stains will go a long way in improving the atmosphere of your workplace restroom. Wash their hands more frequently and thoroughly during the work day. Refusing handshakes from sick coworkers. Standing at a distance when talking to or encountering ill employees. Requesting that sick workers return home while they recover. The fifth annual survey is also notable for the importance employees put on hand hygiene. Only eight percent of respondents frequently saw coworkers leaving a bathroom without using hand washing facilities. Overall national hand washing surveying has revealed that more than 30 percent of Americans say they frequently witness people not washing their hands after using a public restroom. Hand washing in the workplace is far above the national average. 1,015 Americans were surveyed for the fifth annual Healthy Hand Washing survey from August 1 to August 5, 2013. Respondents were adults between the ages of 18 and 65 who lived across the country, and evenly divided by gender. Battling germs, microorganisms, and viruses that cause infection is challenging task for any commercial cleaner. Disinfecting child care centers takes the task to another level. Young children and babies spend time crawling on the ground, mouthing toys, and frequently touching surfaces. Keeping a clean environment is paramount to their health. 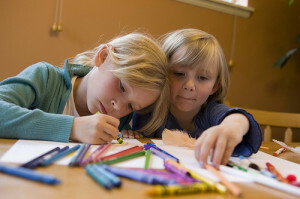 Because young children interact so physically with their environment, it is also important to avoid using harsh chemicals and detergents when cleaning child care spaces. 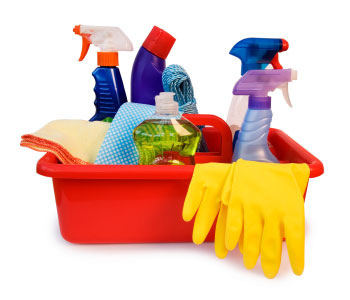 Hazardous ingredients found in many commercial cleaning products can compromise their health. Green cleaning alternatives are available. Chicago’s Healthy Schools Campaign, and other efforts around the country, are partnering with cleaning advocacy organizations to help educate cleaning companies, educators, and children about the importance of proper child care cleanliness programs. Rinse disinfected services with clean, clear water after allowing sufficient dwell time. Rinsing chemicals from high-touch surfaces will help reduce their threat to children, and will reduce dirt and grime build up that chemical films can attract. Opt for green cleaning products that have a low environmental impact and don’t make use of harsh and harmful chemicals. Hand to mouth contact is constantly happening in child care environments. By using green cleaning products, you can reduce the amount of harmful chemicals that children ingest or come into contact with while at day care. Disinfect regularly. While children do need a moderate amount of exposure to germs while their immune systems are developing and learning to fight off infections, it is important that they are exposed to clean environments that are regularly disinfected. Daily cleaning of day care centers is a must. Teach prevention to children by modeling effective hand washing practices. Teach children to wash their hands regularly, and to scrub them with hand soap for 20 full seconds. It can be helpful to suggest that they recite the ABCs or sing Happy Birthday twice while washing their hands. Colorful, engaging posters and informative displays can also remind children the importance of cleanliness. Cleaning the most used and interacted surfaces in a child care space is important for the health and safety of children and staff. Surfaces that need regular cleaning include toys, food preparation and service areas, cribs, bathrooms, and diaper changing stations. Cleaning with soap and water, and a good all-purpose green cleaner is one of the most effective methods for reducing germs and microbes. Thorough scrubbing and washing, along with rinsing, will help keep learning environments clean and reduce the spread of disease and infection among children, staff, and parents. 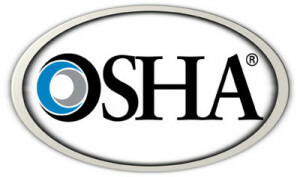 The Occupational Safety and Health Administration (OSHA) released a new set of floor safety guidelines this month, raising the bar for safety, inspection and general floor care in the commercial cleaning industry. The new regulations follow careful research and consulting, including input from the National Institute of Standards and Technology, and the American National Standards Institute (ANSI). The Walking and Working Surfaces (29 CFR Part 1910) document creates industry standards for employers to follow that “protect employees from slips, falls, and trips.” The rules were developed in the 1980s and have served as an authoritative and comprehensive set of guidelines for the cleaning industry, but a steady increase in reported workplace falls and injuries prompted OSHA to generate revised requirements. At OSHA’s final public hearing, the National Floor Safety Institute (NFSI) presented recommendations to the Walking and Working Surface requirements. Qualified persons are required for floor inspections. The new rules require “qualified persons” to inspect, maintain and repair workplace floors. A qualified person is defined as being “capable of identifying existing or potential hazards in specific surroundings or working conditions which may be hazardous or dangerous to employees; and has been trained for the specific task assigned.” Employers will have to designate a qualified person that can determine compliance with the new ANSI standards. An effectively implemented housekeeping program that includes floor care is required. Education, training, and a host of other required housekeeping programs that address floor care and maintenance are required by the new regulations. Looking ahead to the additional training requirements commercial cleaning companies and facilities managers will have to incorporate to their floor care programs, NFSI is increasing access to its Walkway Auditor Certification Training program, which is located in Southlake, Texas. 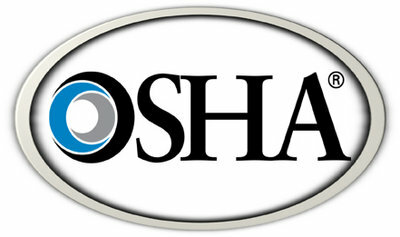 Qualified floor inspectors need this certification to meet the new OSHA regulations. The training program will be fully opened in the Fall of 2013 after NFSI achieves official ANSI Accredited Training Organization status. The Walkway Safety Management program is specifically based on ANSI and NFSI’s B101.8 “Floor Safety Management Program for Slip, Trip and Fall Prevention” regulation material. Floor care is one of the cornerstones of commercial cleaning. Every facility has a floor, and every floor needs to be kept clean. A closer look reveals that there is more to a floor than just the tile, linoleum or hardwood that it is composed of. Many floors are trimmed with baseboards that provide a transition from wall to floor, as well as protect walls from scuff, dents and other damage that can floor cleaning equipment can inadvertently cause. Just like the floor surface, baseboards need to be kept clean both for health and for appearance. Before selecting the products and equipment to clean baseboards, you should determine the material that they are made of. The wrong combination of cleaning chemicals and baseboard material could lead to discolored, warped, stripped, or generally damaged baseboards. It’s a good idea to test an inconspicuous area with your cleaning product before going all out on an entire floor. Baseboards pose unique challenges for cleaning staff. Their long vertical alignment doesn’t give cleaning solutions much time to remain standing on them in order to dissolve dirt and grime and disinfect. Good old fashioned elbow grease is the best way to tackle baseboard cleaning projects. Focus on one small area of a baseboard at a time, reapplying all-purpose cleaner as needed. By working on a small area and reapplying cleaning solution frequently, you will allow your cleaning agent to fully break down dirt particles and disinfect baseboard surfaces. Cleaning baseboards can be a time consuming job that is labor intensive and requires concentration and dedication. Use a good all-purpose cleaner or degreaser to help the job go more smoothly. 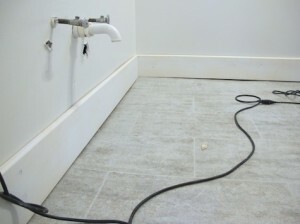 The floor underneath a baseboard should be protected from run off while cleaning. Scrubbing and agitation will often be required to remove stains and other grime. Use a cloth or brush that is the least abrasive while still being effective. You want to avoid scratching or denting the surface of the baseboard while cleaning it. Baseboards are easily bumped and damaged during regular floor maintenance. Take special care not to splash them or run into them with floor cleaning solutions and equipment. When applying finish to a floor, cut in along the edges first to prevent splashing baseboards. Splashed finish can build up on baseboards and create unsightly areas that attract soil and other contaminants. If a baseboard is splashed with finish or floor cleaning solution, it should immediately be wiped clean. Hopefully these tips will help you keep baseboards on your commercial cleaning projects clean and professional-looking. Commercial cleaning companies work in all kinds of industries, but one cleaning task remains ubiquitous no matter what type of facility a cleaning staff is working in. 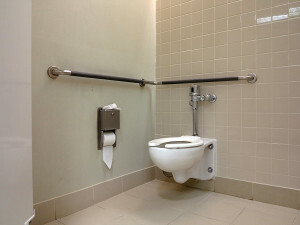 Restroom maintenance is an important and impactful part of any cleaning program. Not only are restrooms present in nearly every type of facility, their appearance, smell, and perceived cleanliness are important for reducing the spread of infection and creating a positive impression. Facilities are often judged by their overall cleanliness. The most influential factor in that assessment rests heavily on restroom cleanliness. Does the restroom smell fresh and clean? Are the garbage bins full and spilling paper towels on the floor? Are the countertops and sinks clean and inviting? Create a Comprehensive Checklist: Checklists are helpful because they ensure that cleaning staff have a visual reminder of every part of a restroom that needs to be cleaned. Working through a checklist covers all your bases and can make cleaning more efficient and cost-effective. Creating a checklist also gives you an opportunity to exceed your customer’s expectations by including a detailed schedule of spot cleaning, deep cleaning procedures and timeliness, and daily cleaning tasks. A checklist will also aid your employees in upholding sustainable cleaning practices when cleaning restroom facilities, creating an impressively clean space that is maintained with efficiency. Select Superior Cleaning Products that Provide Positive Results: Stocking a restroom with the essentials is important: high quality toilet paper and hand soap are a must. Additionally, you can improve the user-friendliness and customer satisfaction of a restroom experience by using high quality, sustainable cleaning products. Environmentally friendly products create safe, clean restroom environments that prevent and reduce infection, eliminate odor, and prevent residues that attract dirt, grime, and bacteria. Assess Your Work: A final tip for impressively clean restrooms is a regular assessment of the work of your cleaning staff. Scrutiny of cleaning methods, products, and equipment will help you constantly evaluate and improve your methods. Assessment also gives you an opportunity to regularly train and implement new products and procedures. On a microbial level, you can use an adenosine triphosphate (ATP) meter to literally check the level of microbial contamination on high-touch surface areas to determine their cleanliness. While creating checklists and assessment procedures may seem overwhelming at first, once you implement these three helpful tips, you will enjoy the efficiency and improved results.